If you love what you do you’ll never work a day in your life! 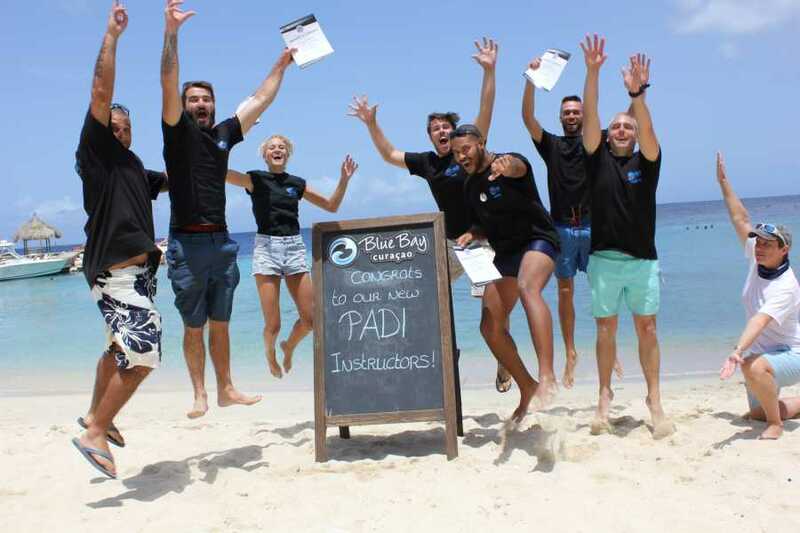 The PADI Instructor Development Course (IDC) is your opportunity to make diving your job! Under the supervision of our PADI Course Director Mick Bosman, we will prepare you for your career in diving. During this course, we will prepare you for the Instructor Examination (IE) and a life as an Open Water Scuba Instructor. With a 100% passing rate, Blue Bay Dive is THE place for you to do the IDC. The IDC will be provided in English, German and Dutch. It’s also possible for you to participate in the PADI IDC Staff Instructor Course, which runs at the same time as the IDC does. You will be part of the team and experience how it feels to be our Staff Member during the IDC. Since we are a PADI Tec Rec Center we also offer Tec Instructor training options after the IDC. Join us now and make a career move you will never regret!